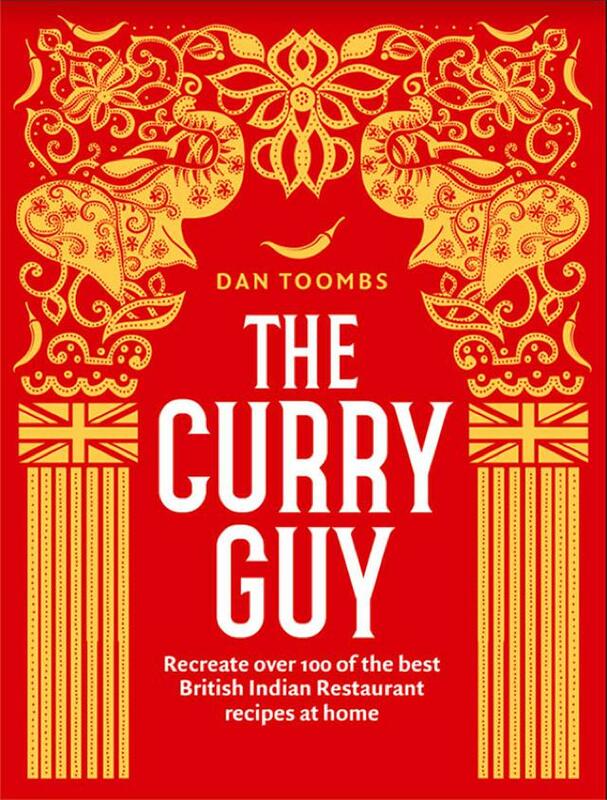 Dan Toombs (aka The Curry Guy) has written the hugely popular food blog greatcurryrecipes.net since 2010. He spent two years cooking and serving his family nothing but Indian food to gain content for the blog. By travelling around the UK, sampling dishes and learning the curry house kitchen secrets he has mastered the art of making British Indian restaurant (BIR) style food at home and made it possible for his 160,000 monthly blog readers to recreate their favourite Indian takeaway dishes. Dan learned through the comments left on his blog and through social media that many people are terribly let down when they make curries such as chicken korma or a lamb Madras from other cookbooks as they taste nothing like the dishes they experience when they visit a their favourite curry house. They thank him for getting it right. In 2015, Dan won the prestigious Vuelio Best UK Food & Drink Blog. This led to him writing "The Curry Guy" published by Quadrille Publishing in May 2017. Dan has cooked with some of the best curry house and upmarket Indian chefs in the UK. Through his hands-on course, you will learn first hand how to achieve the now world famous flavour and textures that are the British curry. That's not all! You will also learn to prepare the tandoori meats, seafood and vegetables, as well as the side dishes and starters you expect to see when you visit your local curry house. 7.00 PM - APERITIFS SERVED – Get in! Small, Tasty snaCKs, Beer, wine, soft drinks… Whatever you want. As much as you want. 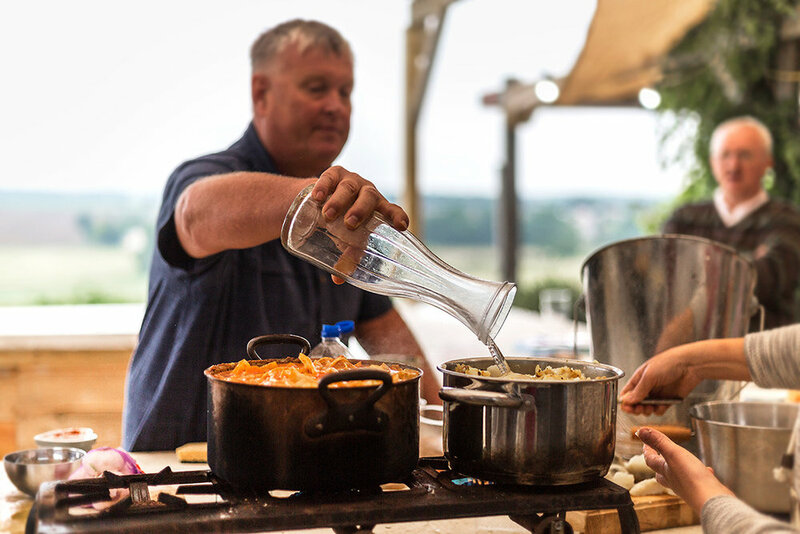 7.30 PM - WELCOME DINNER SERVED – WE WILL BE SERVING AN AMAZING NATURAL WOOD-COOKED BBQ! YOU ARE GOING TO LOVE THIS AND I WILL ENJOY MEETING YOU BEFORE THE COOKING CLASSES BEGIN. SPICE BLENDS: WE WILL MAKE A SELECTION OF SPICE MASALAS WHICH WE WILL USE IN THE CLASS. Tandoori Chicken and meat: We will make two marinades and you will learn all the curry house secrets to making the meat taste amazing. NAANS: We will all make our own naans, garlic naans and/or Peshawari naans. you will learn how naans are made at curry houses. There is a difference and you are going to see how it’s done. After this class, you will know how to whip up as few as one naan for yourself or make a huge batch of dough for a feast without the need of a recipe. KACUMBER SALAD: This popular side dish is a must for the lunch we will be serving. There will be a lot of us to feed so everyone is going to pitch in making it. LUNCH: Lunch and drinks will be served right after the class. Tandoori chicken, hot homemade naans with a selection of chutneys and sides like the kacumber salad. DAY 2: AFTERNOON CLASS 4.00PM – 6PM (DINNER AND DRINKS TO FOLLOW CLASS AT A CONVENIENT TIME.) THE CURRY HOUSE FEAST! BASE SAUCE: I will prepare a base sauce before everyone arrives for use in the curries. You aren’t getting out of the work though. We will make another batch to start this class. You will learn how to make the base sauce whenever you want without the need of a recipe. Chutneys & Raitas. We will all make a nice selection of chutneys and raitas to accomany our evening meal. ONION BHAJIS: THese Were A BIG HIT LAST YEAR SO WE SHOULD PROBABLY MAKE them AGAIN! You will learn how to make them the British curry house way. We will also fry papadams using the same oil. CURRIES: WE WILL BE MAKING 3 – 4 CURRY HOUSE STYLE CURRIES FROM my first two books. Popular curries like CHICKEN TIKKA MASALA, CHICKEN JALFREZI, LAMB ROGAN JOSH, AND A PANEER DISH could feature but if you have any special requests, please let us know at least one month before the class and we will try to get it in. White Basmati Rice: You will learn how to make no-fail white rice, both small batches and large as it would be done in curry houses. TARKA DHAL: REALLY EASY AND STRAIGHT FORWARD RECIPE. 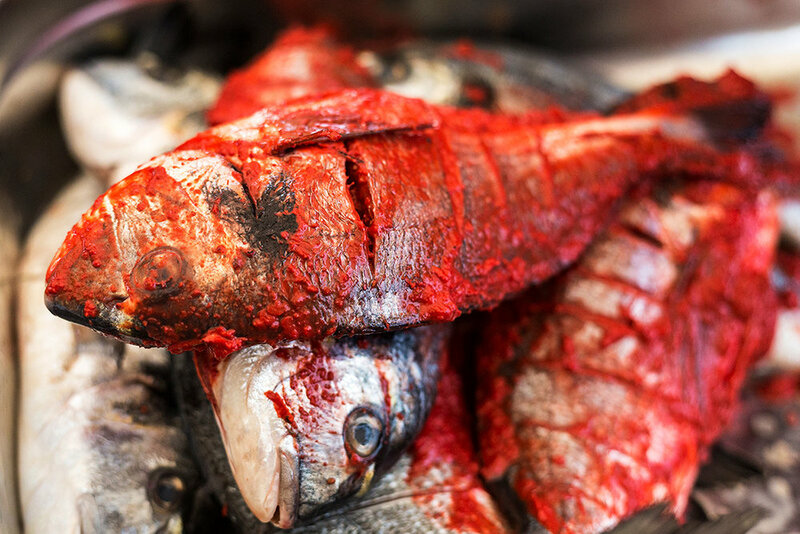 You are going to learn how to make it taste awesome! Dinner: After all that work, you will have earned a delicious dinner of papadams and onion bhajis with all the sauces, a selection of curries and aromatic white rice. We might even make a few more naans, time permitting. Enjoy your meal with cold beer, wine or soft drinks. We will be making a lunch of two of my favourites, chicken 65 and quick stir fried Keralan lamb or beef. MORE NAANS WILL BE MADE TO SERVE WITH THE LUNCH. THERE WILL ALSO BE BASE SAUCE ON HAND SO THIS IS A GOOD TIME TO USE YOUR NEWLY LEARNED SKILLS TO COME UP WITH YOUR OWN CURRIES OR TRY MAKING ONE OF YOUR CURRY HOUSE FAVOURITES FROM MY BOOKS. REMEMBER, WE DO TAKE REQUESTS SO IF THERE IS A SPECIAL CURRY YOU WANT TO LEARN, PLEASE ASK AT LEAST ONE MONTH BEFORE THE CLASS SO WE CAN GET THE INGREDIENTS IN. 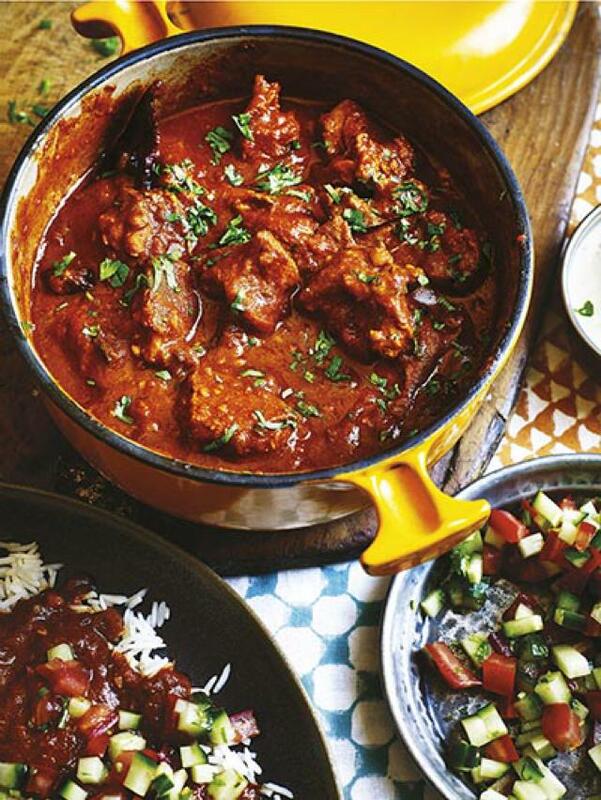 CURRIES GET BETTER WHEN THEY SIT FOR A FEW HOURS OR OVERNIGHT IN THE FRIDGE. YOU CAN ENJOY YOUR CREATIONS WITH THE LUNCH OR SAVE THEM FOR DINNER. LUNCH: CHICKEN 65 AND KERALAN STIR FRIED LAMB OR BEEF. NAANS AND OF COURSE WINE AND BEER. AUTHENTIC GOAN PORK VINDALOO: WE WILL MAKE THIS PORK VINDALOO FROM THE CURRY GUY EASY FOR DINNER. 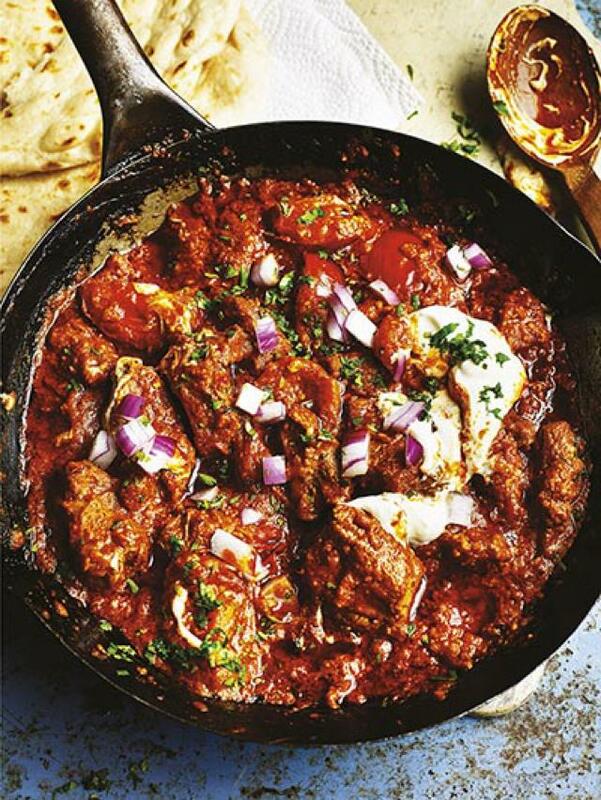 AUTHENTIC PORK VINDALOO HAS A LOT OF SPICES IN IT BUT IT DOESN’T HAVE TO BE SPICY HOT. YOU WILL LEARN HOW IT’S DONE. SEAFOOD CURRY: WE WILL MAKE A SOUTH INDIAN SEAFOOD CURRY USING THE BEST QUALITY, SEASONAL FISH WE CAN FIND THAT DAY AT THE MARKET. CHAATS: WE WILL MAKE A SELECTION OF CHAATS. THESE ARE AMAZING AND FUN TO MAKE TOO. CHAATS ARE DELICIOUS SNACKS THAT ARE USUALLY SERVE BEFORE OR WITH A MEAL. MAKE THEM ONCE AND I PROMISE YOU, YOU’LL WANT TO MAKE THEM FOR YOUR FRIENDS BACK HOME AS SOON AS YOU GET BACK. DINNER: GOAN PORK VINDALOO, SEAFOOD CURRY, BASMATI RICE AND CHAATS. THERE MIGHT JUST BE A COUPLE MORE SURPRISES IN STORE FOR YOU FOR THIS CURRY FEAST! 23th-26th of May 2019. 2 rooms left. Prices are £499 per person on a first come first served basis and on 2 people sharing a room. 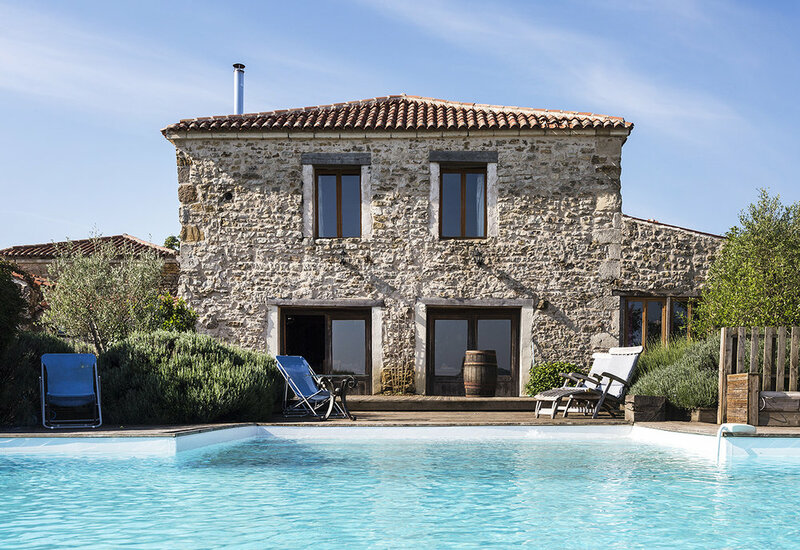 Price includes all food and drink at the villa, transfers to and from la rochelle and excursions.